At Princebuild our Management Team have a very hands-on approach to delivering our services. This starts with our directors, who play a very active role in the day-to-day operation of our business. The majority of our Management Team are long-serving employees, who have worked their way through the company and have gained a raft of experience, training and qualifications along the way. Many of our team have had experience of working at ground level and this has given them the knowledge to identify what is needed to drive our service forward. As such they have implemented processes and procedures that enable us to deliver a service that is second to none. Derek is one of the founding directors of our company and spent his entire working career within the construction industry. Originally from a joinery background, Derek progressed his career into site management, making a success of all of his projects by using his strong leadership skills and ability to get the job done. Realising that he had a talent to make things happen, In October 1971 Derek joined forces with Stuart Pudney and co-founded our company. With the new business venture under way, Derek used his skills and abilities to successfully run the works and contracting side of the business, taking overall responsibility for projects from the point of enquiry through to the successful completion of works on site. Derek’s contribution to the business was key to the initial growth of our turnover and client base through our early days, and he successfully won and secured many term maintenance and planned works contracts which formed the bed-rock of our company at that time. Later in Derek’s career he formed our Large Works Department and secured the company’s first job to exceed a contract value of £1 million. Derek retired from the organisation in 2005 but still calls into the business from time to time and enjoys attending all corporate functions. 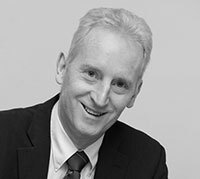 Stuart is one of the founding directors of our company and has spent his working life within the construction industry. 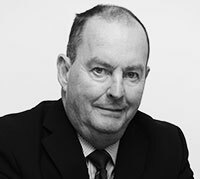 Stuart commenced his career as a quantity surveyor, but his passion for business and his ability as a natural leader soon saw him taking the plunge at running his own business in a joint venture with co-founder Derek Asplin, which culminated in the opening of our company in October 1971. As a quantity surveyor, Stuart was very proficient with figures and it was only natural that he should head up the company’s finances and accounts team, but back in those early days there were no computers, and the business really did operate its accounting books in actual books! Stuart’s leadership of the company now spans more than 40 years but his passion and drive for the business remains the same as it always has been. He has spent many years steering the company through financial growth and technological change, but he continues to professionally lead his team five days a week and heads up the return of the company’s annual accounts. Dale joined our company in 1993 as a technical assistant working on term maintenance contracts. Within a short space of time he was appointed to head up our Small Works Department in Peterborough, where he gained an excellent knowledge of estimating, tendering and running of projects up to the value of £200k. As a result of Dale’s natural ability to secure new clients through the good work he delivered, he quickly progressed through the company providing rapid growth in our turnover and customer portfolio. 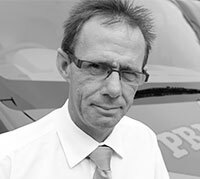 In 1997 Dale opened our Northampton branch which gained new business and new clients, and later in 2008 he expanded the business further by opening our Bedford branch. At this point Dale became a director of the business. Dale now specialises in heading up and overseeing our Works Division in the delivery of construction, commercial refurbishment and insurance projects up to the value of £8 million, as well as having overall responsibility for our centralised Surveying Department. Dale has recently been instrumental in setting up and launching our new office in Baker Street, London, which is already providing the company with prestigious projects in the heart of our capital city. Mark commenced his employment with the company in 1994 as a bench joiner and progressed his career through the running and management of commercial and retail projects. 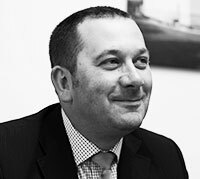 Over the years Mark has gained a vast knowledge of the construction industry, from pricing tenders to planning works and delivering them on site. In 2008 he became the director of retail projects for Princebuild. 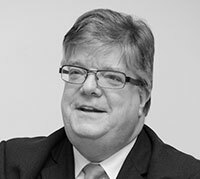 Although capable of running any type of construction project, Mark’s particular speciality is the retail sector, where he now leads a professional team capable of delivering multiple projects at any given time with values ranging from £50k to £8 milion. Mark has always prided himself on providing a high quality service with works being delivered on time and on budget with minimal snagging. This level of service has been reflected in the amount of repeat business he and his team have generated. In addition to heading up the retail section of our Works Department, Mark has the overall responsibility for Princeenergy, our Building Services and Renewable Energy Division which delivers a diverse range of services both in-house and to external clients. Matthew has worked for the company since 1988 and began his career working on the administration of term maintenance contracts. Passionate about delivering good results, Matthew was soon heading up the Maintenance Division of the company and has been responsible for opening up several of our branches across East Anglia. Over time it became apparent that Matthew had a flair for developing and improving systems of work, so he was appointed to lead the development of our bespoke IT systems which run our company efficiently today. In addition, Matthew works closely with our marketing and business development teams to continuously improve and drive the growth of our business. More recently, Matthew became the co-director of our newly founded joint venture business Princeclean. He now has plans to carry on the theme of developing the Prince brand into other associated businesses within the group. 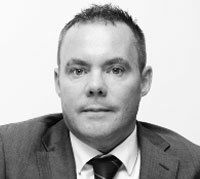 Paul has been with our company since 1998 and has progressed his career during his employment from an administrative role, through to contract manager, executive manager and, in 2011, associate director. Through Paul’s varied career with the company he has gained a very thorough and diverse knowledge of the construction industry.When it comes to contracting, there isn’t much he doesn’t know and can’t do! Over the years, Paul has brought many new clients to the company who repeatedly use our services and this has contributed to the significant growth of our business. Currently Paul works closely with our directors in the Works Division of the business and oversees the teams responsible for delivering surveying, small works, large works and commercial maintenance. In addition to Paul’s commitments to the teams he oversees, he continues to run large-scale projects of his own, from conception and design through to completion, and he prides himself on delivering a very high standard of finish. James joined Princebuild in 1993 as a heating engineer and very quickly advanced his career with the company by gaining further experience and a raft of qualifications relevant to his profession. 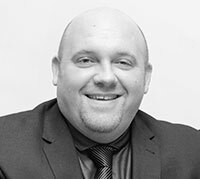 In 1999 James became a supervisor for our Mechanical Services Department and in 2005 was promoted to term contracts manager taking responsibility for several domestic and commercial mechanical contracts. Such was James’ dedication and commitment to the company that in 2009 he was promoted again to head both our Mechanical and Electrical Divisions. In 2012 he took responsibility for our Renewables Division Princesolar, which was then rebranded as Princeenergy due to the additional renewable technologies that had been introduced. James’ career progression with the company continued when in 2014 it was decided to amalgamate our Mechanical and Electrical Division with our Renewables Division bringing it all under the one trading name of Princeenergy. At this point and as a result of his continued development of our Building Services Division James was appointed Associate Director of Princeenergy. Now with almost 30 years’ experience in the industry, James oversees our team responsible for delivering mechanical, electrical and renewable services, to both our Building Maintenance and Construction Services Divisions, and also independently to Princeenergy’s own external clients. 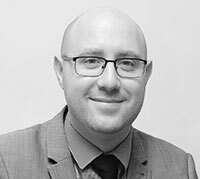 In addition James ensures compliance is maintained with all of our relevant trade accreditations and also specialises in providing a consultancy service to many of our clients. Brian Sutherland BSc(Hons) CMIOSH RMaPS OSHCR joined our company in 2004 and brought with him a wealth of experience and qualifications in health and safety. Brian’s primary role is to manage and develop our health and safety infrastructure in order to meet legislative requirements, but this is just a small part of what his role entails. In addition, Brian leads our Health and Safety Committee, which is made up of employees from across the company, and ensures that our philosophy of making health and safety ‘everyone’s business’ is sustained. This responsibility is also disseminated through regular Tool-box Talks delivered across the company. 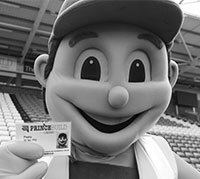 Being an accredited trainer for the Institution of Occupational Safety and Health and managing our safety and environmental accreditations also keeps Brian busy in his daily activities, but somehow he still seems to find the time in his busy schedule to carry out his role on the East of England’s regional board of directors for the Federation of Master Builders. 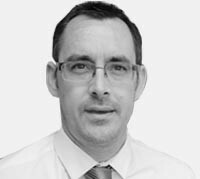 Chris joined our company in 2001 as a qualified contract manager working on one of our term maintenance contracts. However, it wasn’t long before we noticed his flair for IT, and although his skills as a contract manager were exemplary, we took note of his seemingly unique ability to solve IT-related issues and steered him in a new direction. Initially Chris moved into the position of office manager with responsibility for dealing with many different tasks, including day-to-day IT issues, but as our reliance on modern IT and communications grew it became necessary to concentrate Chris’ role solely on this area. 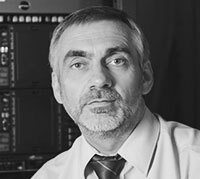 Now with more than 15 years of service, Chris heads up our IT and Communications Department and has been responsible for developing and implementing a robust IT and communications infrastructure for the company that is second to none. This allows efficient working for all employees with the ability to access our systems from anywhere with an internet connection. Chris now spends the majority of his time continuously researching, developing and improving our systems to ensure that we are always one step ahead of the game! 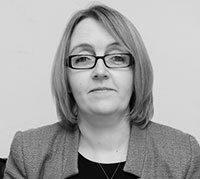 Rowan joined our company in 2014 to bring a new edge to the marketing of our business, along with the task of improving our presence and communication within social media and the general market place. 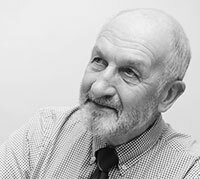 Prior to this, Rowan’s career involved managing the design and development of web-sites and co-ordinating the logistics of conferences, presentations and corporate video shoots. 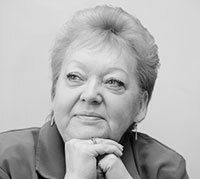 Her passion for delivering great results on time means that she fits perfectly with our company ethos. 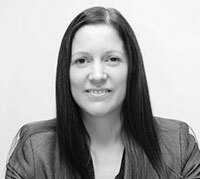 Since joining Princebuild, Rowan has dealt with the rebranding of the business and the review of our marketing material. She is always on the lookout for the latest piece of news from around the company, and can often be found on our sites snapping photographs for the next case study, or working with our teams to help them promote their next business venture. 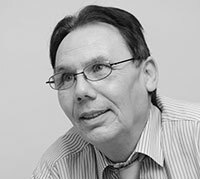 Stephen commenced his career in the construction industry as a multi-skilled operative more than 45 years ago. He gained experience working on refurbishments, extensions and property conversions in London where he progressed his career and became a site foreman. Later he set-up his own development business working alongside architects, building inspectors and clerk of works. After relocating to the Peterborough area, Stephen joined our company in 1996 as a site supervisor working on our commercial refurbishment contracts and in 2001 was promoted to contracts manager, looking after several pre-decoration repair contracts for local authorities. Following the successful completion of these contracts Stephen moved on to manage some of our larger commercial contracts and in 2006 became the executive manager of our Large Works Department in Peterborough. 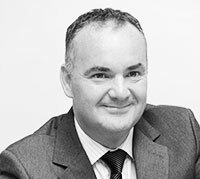 Due to continued growth and the restructuring of our business in 2011, Stephen became responsible for large works across the company and in 2013 coordinated the amalgamation of Small Works into the department. 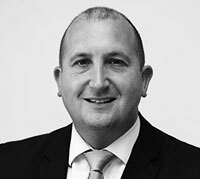 In order to maintain good working practices within the works division, Stephen now spends the majority of his time monitoring the administration, health and safety and costings of all projects within the department, as well as providing advice to his team on contract conditions and the scheduling of works. Stephen also monitors the company’s subcontractor database ensuring suitability and conformity to our requirements and invests time in mentoring and developing our trainee project managers.